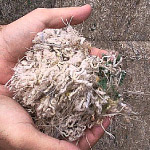 Fiber is the basic material that is used to make carpet. Over 90% of all of the carpet made today is made up of synthetic fiber. The rest is natural fiber, most commonly wool. Almost 75% of carpet today is made of nylon and, compared to the other synthetic fibers, it performs the best. Nylon is the leader in appearance retention, fade and heat resistance, soil and stain resistance, and color and styling. The next most common material used in carpet manufacturing is polypropylene, also referred to as olefin. Introduced in the late 1950’s in Italy, polypropylene BCF has seen fast growth over the last twenty years, and today represents more than thirty-five percent of the total fibers used in the carpet industry. While polypropylene is not as resilient or resistant to abrasion as nylon, it is naturally stain and fade resistant. Its natural resistance to moisture means that it must be dyed before being extruded, resulting in a more limited range of color options. Polypropylene is most often used in loop pile carpet constructions. Triexta (also known as Mohawk’s Smart Strand) is the newest fiber on the market. Dupont chemists significantly improved the durability of a polyester fiber, creating the first new class of carpet fiber in over 40 years. The Triexta fiber has inherent stain protection that is second to none and has very good durability. This is a great fiber to use if stains are a big issue in your home. The carpet will not discolor from mustard, wine, and even bleach. The wool used in today’s carpet comes primarily from New Zealand, Argentina, and the United Kingdom. Since wool is a natural fiber, it ranges in color from off-white to black, with many earthen tones between. Although wool doesn’t stand up to abrasion and moisture as well as synthetics, it cleans well and is known to age gracefully. Wool is the most expensive carpet fiber, and represents less than one percent of the U.S. carpet market. Call or click to set up a free no obligation shop-at-home appointment with one of our design consultants today.